Spring means gravel in Grand Rapids, and we've got the best calendar of gravel events in the Midwest! Grinding season starts with Melting Mann and keeps rolling the following weekend with the first annual Dirty Thirty! We're as anxious as anyone to get out on the dirt this spring, but with the wicked freeze/thaw cycle in place, gravel roads are the easiest way to explore, get fit, and certainly race this time of the year. Our area has one of the best gravel race scenes around, with events all over West Michigan offering their own unique take on how to make a race tough and fun. Kicking off the local gravel season is Melting Mann. Located down in Vandalia, Melting Mann is entering its fifth year. With it's late March time slot, the weather has ranged from idyllic and warm, cold and rain, and downright frigid and snowy! Course conditions this time of year are very dynamic, making tire and gearing selection for the race always a part of the challenge, or part of the fun, depending on how you look at it. At over 90% gravel, Melting Mann is as pure a gravel challenge as you'll find in the state. Aside from some asphalt at the start/finish, the roads offer largely fast and smooth roads but a few important rough and technical two-tracks that often serve as the selection points in the 35 mile Long course. Melting Mann registration is wide open online, so get yourself signed up right here. If you can't make it on March 25, or if the first race only whetted your appetite, great news. The Dirty Thirty is another chance to get out and put down some power, this time even closer to home in Saranac, only a short drive from Grand Rapids. The race starts and finishes right downtown, heading north in the wide-open, wind-swept farm fields that surround the town. Expect crosswinds to split the field early, and watch for those gaps to open further as the race turns south and hits the hills near the river. Both events offer a short course for those who haven't been able to get many miles in this winter, or for folks that just want to see what gravel racing is all about. There really isn't a more accessible type or racing than gravel, and there's no better place to get into it than West Michigan. We are absolutely spoiled for great roads, great rides, and great races throughout the year, and it all gets started in March! If you've got questions about these races, gravel riding, or what the best bike for gravel roads might be for you, swing by and we'll show you all the bikes, tires, and more. Make sure you follow The Dirty Thirty and Melting Mann on Facebook for the most current weather and course updates, too. Next week, state champions will be crowned at Art Van Sports Complex, but those titles will be won just next door at Merrill Trail. Short's Brewing Mountain Bike Series comes to Grand Rapids, and it's the perfect time, too. The weather has been incredible all month long, giving everyone plenty of time to rack up the miles in September. And that's a darn good thing, with the State Championships looking to be a big test of fitness and technical ability. Saturday is all about the cross country race, with Merrill contributing the bulk of the course and some sections of the short track also getting tossed into the mix. There isn't much elevation gain, but the relentless balance of technical sections, singletrack, and wide-open racing near the start finish mean there isn't a single place to relax on course. Sunday, it's one for the short trackers. 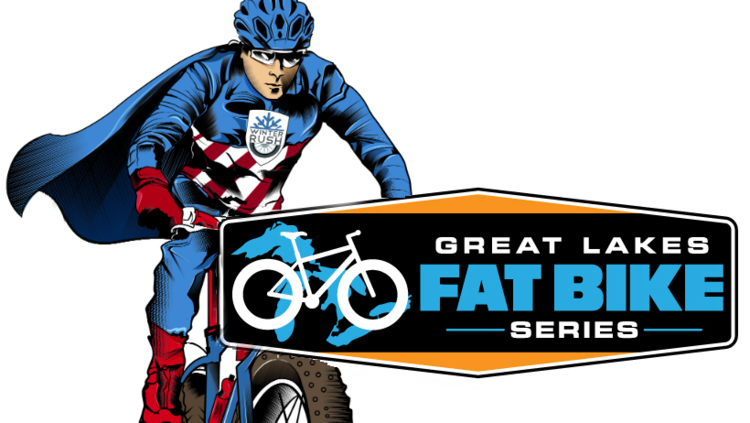 With Grand Rapids home to dozens of great cyclocross racers, this seems sure to be a really interesting contest. Riders can take their fitness from Alma Grand Prix, Midland CX, and last week's Kisscross at Richmond Park and throw it at the day's races on a short, fast and wide open loop. Registration for both days of racing is right here. While Nate put on the Short's Brewing MTB Series opener in Suttons Bay, James led a fearless expedition into the wild with Dave and Chris. After a long spring of Adventure Series bikepacking nights, James led our first bikepacking trip of the season. Scheduling anything in May is an adventure in and of itself, but aside from some seasonably chilly nights, it was warm and dry for the three brave explorers. Some special propers for Chris T., who showed up and joined in as a first-timer. Mile for mile and pedal stroke for pedal stroke, he was up for anything and made two new friends and brought a spark of eagerness that was greatly appreciated. The trip started with 42 miles to the first campsite, taken at an easy pace to open up the legs. After setting everything up, the guys rolled out for another 27 miles of fun, exploring the Hardy Dam and Coolbough Natural Area. It was tough pedaling, but the views and terrain was totally worth it. After an evening at the local public house and a night of much-appreciated rest, the guys rolled out on some season roads that went from smooth and fast to deep, soft and sandy. It was a goo mix of 'cross bikes (including a Kona Jake the Snake) and Chris' well-chosen Rocky Mountain Blizzard, which proved a great option for the bushwhacking and sand-crossing of such an adventure. All in all, over 110 miles of exploration and fun, and three pretty tired but happy dudes!